Looking for a skilled career in the electrical industry? Or do you want to improve conditions in your current job? Looking for fair pay, decent benefits, an opportunity to grow? On-the-job respect? 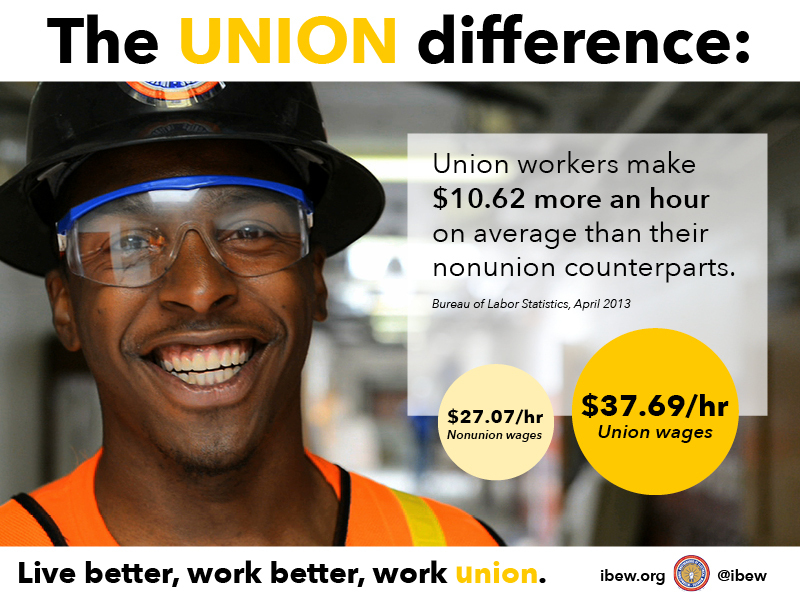 A union of 750,000 members, the IBEW is the largest organization of electrical workers in North America. Our members work in nearly every part of the economy: construction, utilities, telecommunications, broadcasting, manufacturing, railroad and government. Formed in 1891, we have earned our reputation as the oldest, largest and most professional electrical union in the world. We are on the job at construction sites, power plants, factories, offices, shipyards, TV studios and rail yards. We know that there’s strength in numbers and have a proven path to help get results. By securing good wages, solid benefits and safer job sites, our union helps build a better road to the middle class for all working families. Click here to find out how you can be part of it.